“This mail concerns a window washing brush that you might be interested in – possibly not interested at all. 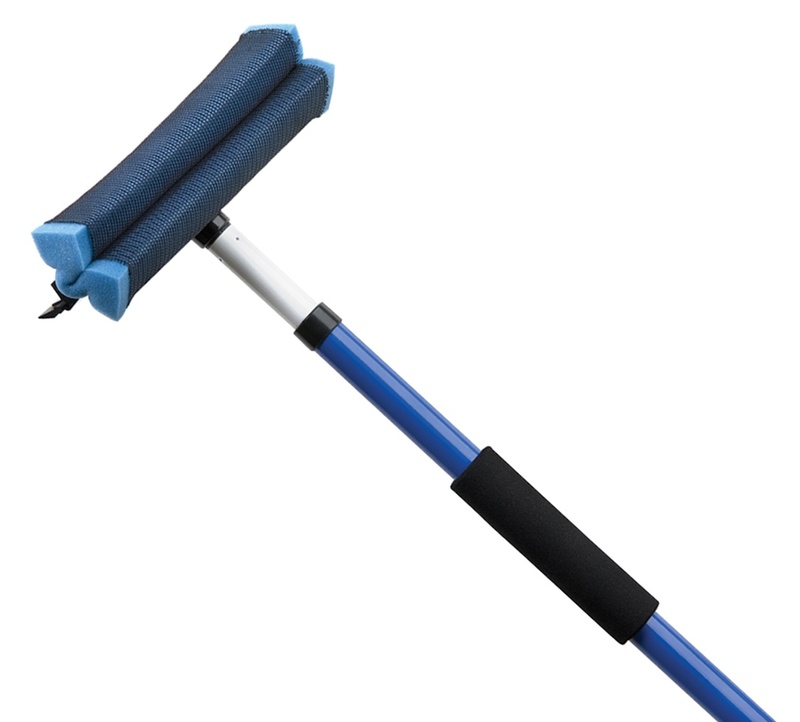 Last year I bought from Amazon a bottom of the range telescopic window washing brush – extends to 3.0M (ten feet). It arrived about three hours ago and now lays broken in the garden. On the plus side my conservatory roof is clean and half of my greenhouse roof. 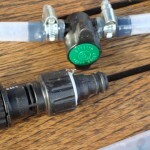 On the downside the big weakness is around the operator handle – firstly the plastic hose pipe union kept falling out – not becoming unscrewed but just pulling out of the threads. A generous application of PTFE tape helped a bit but not completely. In an hour’s worth of use I have had to screw it back in three or four times. That’s the hose end of the operator’s handle. The join between the handle and the aluminium tube has fallen apart – just pulled out and it will take a “bodge” to get it back together – and I am in two minds about even attempting it. It works – it’s far from perfect and I am highly suspicious of any rating higher than two stars. 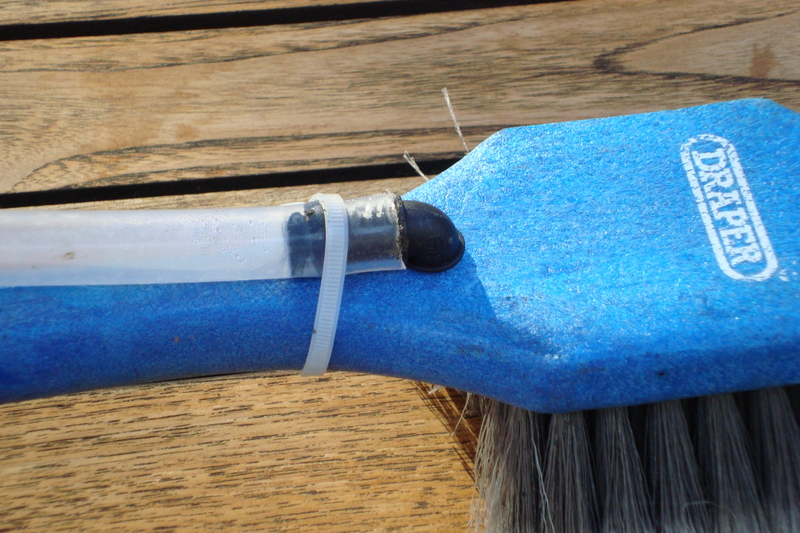 If you buy one try not to hold the operator’s handle when using it – the weight of a 10 foot tube full of water with a brush at the far end places great stress on this piece – the design of the join makes it bound to fail sooner or later. Well – the conservatory roof needs another clean and I’m reluctant to struggle with my old contraption. I shall make my own! The traditional design is just about OK for vertical applications but once the operator tries to use it in a horizontal fashion things start to go wrong. I gave the matter some thought. 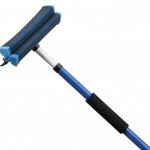 Firstly there is no need to have it telescopic – full length at 10 feet and non-collapsible is acceptable for home use. Secondly there is absolutely no requirement to have the water supply running up a hollow centre (center). Neither is there an absolute need to have the water delivered through the bristles of the cleaning brush – close to is close enough. 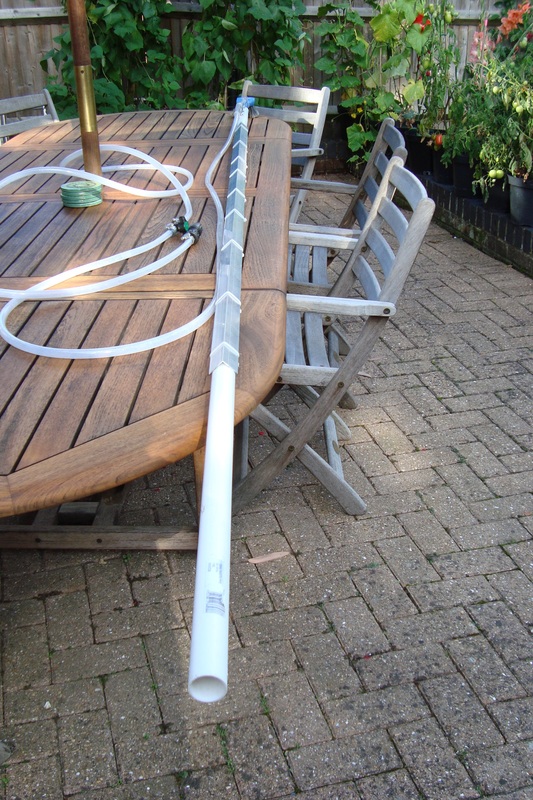 My prototype is almost complete – the boom – a 10 foot plastic waste pipe – flexes a bit too much for my liking so I intend to screw a 2 Metre length of aluminium angle to it as a light-weight stiffener. If it’s the sort of thing that your followers on nifty-stuff might be interested in I can send a couple of photographs. I was able to locate Richard’s device and review on Amazon here. 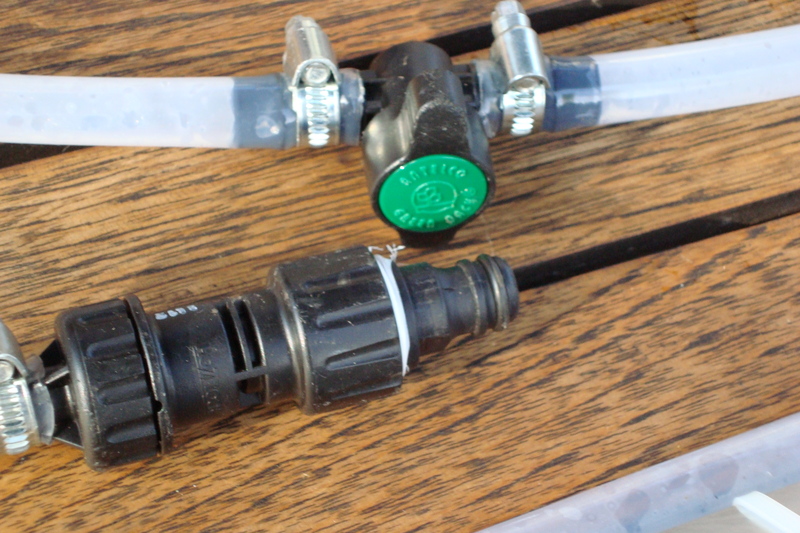 This device is significantly different from mine in that 1) It is just a brush and 2) it is water fed. Usually I hose down my panels, then run the sponge side of my squeegee over them, then hose them off again. I actually don’t even use the squeegee side. 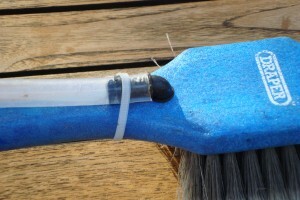 There are two issues with telescopic, water-fed cleaning brushes. The inexpensive types are not very robust whilst the good ones cost a fortune. Secondly they can be very difficult to handle when used horizontally – the weight of water in the tube and the fulcrum point where you hold it make it very heavy to lift. And if you’ve bought at the bottom end of the market then you’ll very probably get very wet. 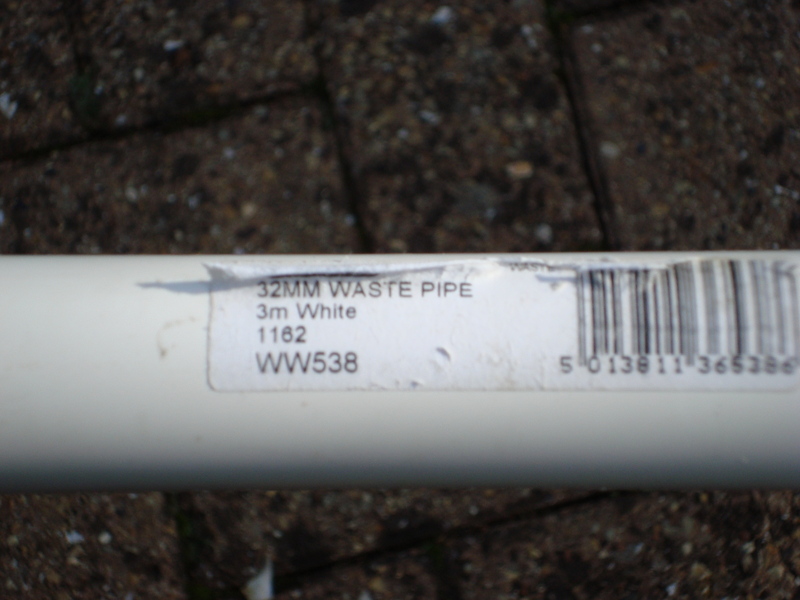 Take a 3000mm (ten foot) length of plastic waste pipe – about 32mm (1¼”) diameter . 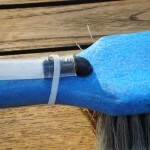 Fix a relatively small and lightweight cleaning brush to one end. 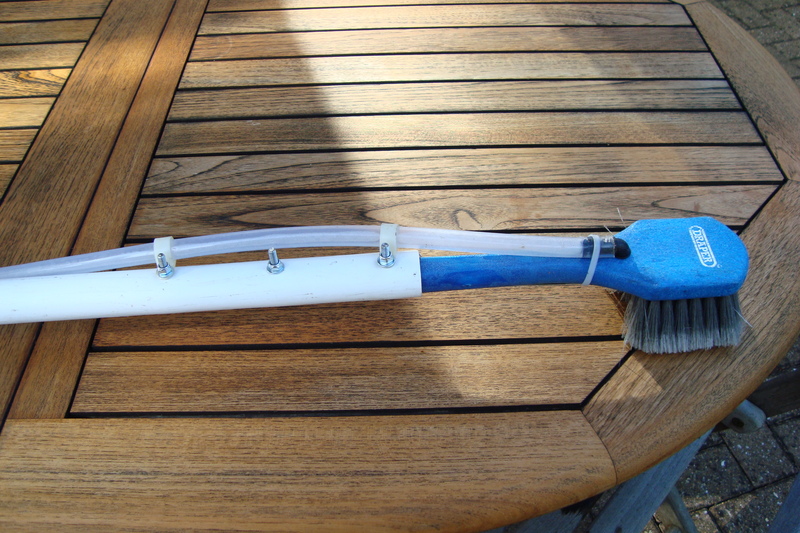 Take water to the cleaning brush through a lightweight plastic pipe – the water does not necessarily need to flow through the bristles of the brush. 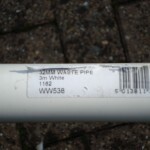 Route the water pipe outside the tube and fit an on/off tap in a handy place for operator control – flow rate and on/off. 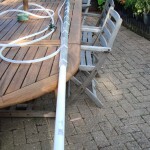 The plastic tube will tend to bend so fix a length of aluminium angle to it as a stiffener. Below are the images Richard sent over (plus my squeegee pic that got misplaced into the gallery) . What do you think about this design? Any ideas or feedback? 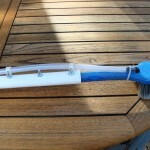 ← Previous Previous post: Cleaning Solar Panels – Does it make much difference?